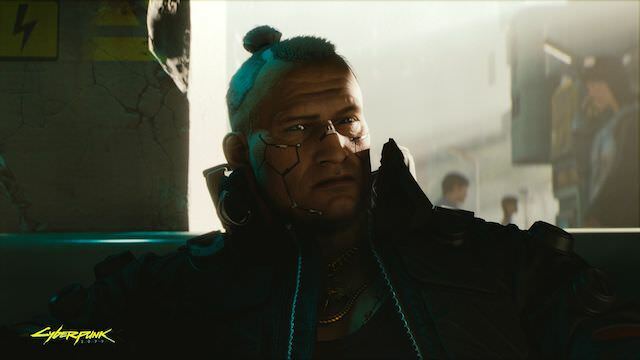 During this year’s E3, CD Projekt RED invited 411mania to check out the first look at gameplay for the developer’s next big gaming project, Cyberpunk 2077. Believe it or not, CD Projekt RED first announced this game way back in January 2013 (see the teaser below). That was over two years before the release of CD Projekt RED’s award-winning title, The Witcher 3: Wild Hunt. 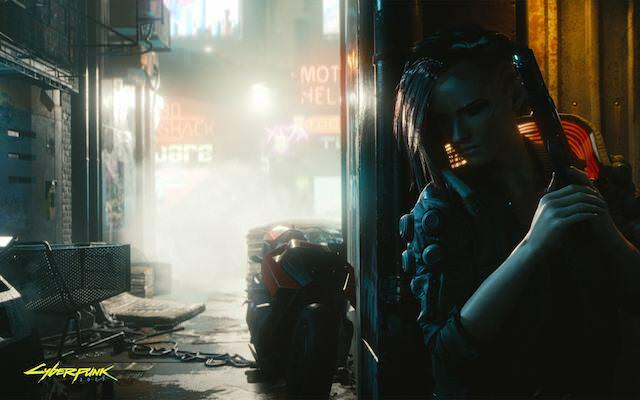 At E3 2018, CD Projekt RED finally offered the first look at actual gameplay for Cyberpunk in a behind-closed-doors, hands-off preview. One of the big moves for CD Projekt RED is that the game will primarily be a first-person RPG and not third-person like The Witcher 3: Wild Hunt. The developers explained during the presentation that its first person because they wanted the action to be really up close. The game is based on Mike Pondsmith’s pen and paper RPG, Cyberpunk 2020 and set in the same world. The game is also filled with Easter eggs and character references from the RPG fans will recognize. Characters take the role of V, a cyborg hired gun. Players will be able to customize V at the start of the game. The demo showcased a sample of how this character creator and customization interface will work. V can be played as male or female. Players can even determine key events from V’s backstory, such as losing a relative or family member when they were young. They also get to choose their childhood role model. A friend who is familiar with the actual Cyberpunk 2020 noted to me that the game’s user interface for the character setup works in a similar manner to the character creation for the pen-and-paper version. The developers used the female version of V for the demo. In the first major mission, V and her partner, Jackie Welles, are looking to track down a missing female and track her down to a drug den. Eventually, they are able to stage a daring rescue using their high-tech weapons and cyber augments. They manage to locate the missing target and are barely able to save her from a drug overdose and get her picked up by the not-so-nice authorities. The next mission has V and Welles getting a job from a big shot gangster, Dexter DeShawn. He wants V to track down a prototype spider bot that was stolen by another gangster group that he is not on good terms with. That group stole the prototype from a mega-corporation called Militech. Eventually, V and Welles take part in a tense meeting with Militech corporate executive, Meredith Stout. Some of these sequences showed how the game will include alternate dialogue option, which similar to The Witcher games, can determine different outcomes in your gameplay. Like The Witcher games, Cyberpunk 2077 will have branching dialogue options and branching storytelling paths. It looks like this can affect the outcome of certain gameplay encounters and relationships with other characters. There are driving and vehicle segments, and it looks like all the driving is done in third-person perspective. Players can also visit a doctor, Dr. Victor, who will give players their upgrades and special cyber-augmentations that will offer new skills and abilities for the game. This will affect how players can hack into building systems or detect enemy weak spots. They can also gain special blade-like cybernetic limbs to assist with climbing. I’m a bit conflicted about the first-person perspective. As it stands, the game looks a bit, or rather a lot, like the recent Deus Ex games. It just doesn’t seem there is a whole lot that sets these two games apart right now. My main criticism is that Cyberpunk 2077 comes off less like a CD Projekt RED experience than simply a next-gen version of Deus Ex. Cyberpunk 2077 is supposed to be a completely open-world sandbox. And it looks like that’s why the development is taking as long as it is. For all we know, Cyberpunk 2077 might not be out until 2020 or 2021. 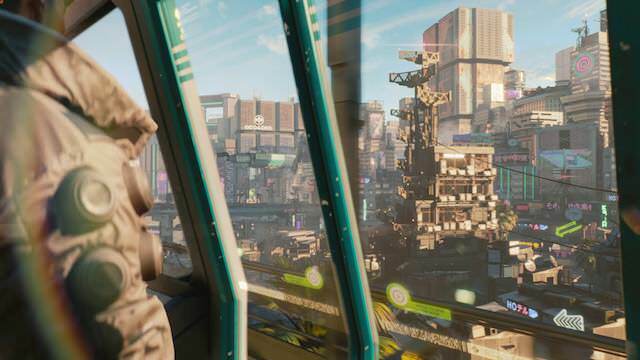 The game definitely looks ambitious, and what the demo showed of the futuristic city does look impressive. However, a first-person perspective is a bit of a letdown. It makes the game look more like a sci-fi first-person shooter than an RPG. Cyberpunk 2077 is in development for PlayStation 4, Xbox One and Windows PC. The game does not yet have an official release date.